From an exclusive gathering to an important meeting or lavish press event, SLS South Beach creates affairs that entertain all the senses. Choose from a full range of services and more than 25,000 square feet of flexible Philippe Starck-designed event venues and Lenny Kravitz-designed Penthouse Suites. Select between menus from the minds of Chefs José Andrés and Katsuya Uechi, mixed with all the spice of Miami. *terms and conditions apply. applies to 10 rooms or more per night. Subject to availability and blackout dates. Must book by April 30 , 2019 for July 1 to September 30, 2019 group dates. 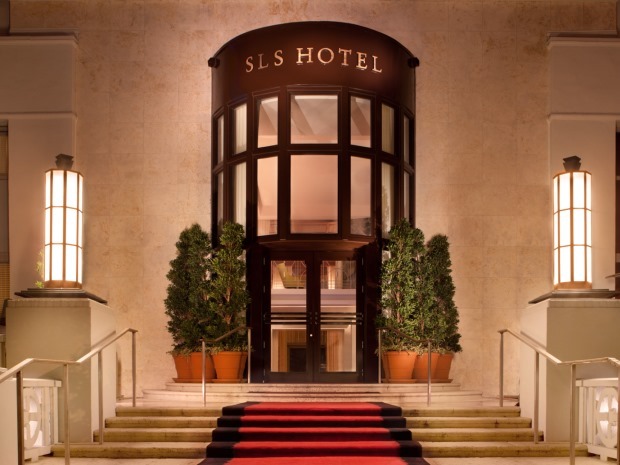 Whether you are looking for a private meeting for up to 20, or a see and be seen cocktail reception for up to 150, SLS Hotel offers more than 8,ooo square feet of unique and flexible meeting and reception space. Menus from José Andrés, Philippe Starck design and an expansive terrace. Menus by Katsuya Uechi, Philippe Starck design and a private dining space. The ultimate indoor-outdoor party with table-side service and beachfront access. Prefer splish splash to wine and dine? Sleek lifestyle shoots are easy to come by at your luxury hotel in South Beach. Designed by visionary Philippe Starck with penthouse spaces styled by Lenny Kravitz, SLS South Beach is a boutique hotel offering over 30,000 square feet of indoor and outdoor spaced bathed in natural light.